With support from the Department of Public Works and other agencies, the City Council approved a resolution calling for the agencies and experts to begin discussing the development of a zero waste plan. But a recent request for proposals for a consultant to help DPW draft the solid waste plan has set off alarm bells with community and environmental advocates. Studying the continued use of the Wheelabrator trash incinerator “through 2040” is just one part of the 11-page RFP that has Councilwoman Mary Pat Clarke up in arms. “We’ve got to begin working towards phasing it out and 2040 is way too far out. That is not going to fly,” said Clarke, who co-sponsored the zero waste resolution, with Councilman Ed Reisinger, last year. Language in the RFP “tips the balance too far towards incineration” and not enough towards green technologies to re-use and recycle, Clarke said. She also objected to the pre-qualified contractors listed in the RFP, saying they lack expertise in zero waste planning. At a meeting Tuesday with DPW officials, including director Rudy Chow, Clarke and the Energy Justice Network and other environmental advocates sought language changes in the RFP. The end result was that the RFP was issued without any changes sought by the environmentalists. “It was shocking after all the buy-in on zero waste,” said Greg Sawtell, an organizer for United Workers. Sawtell said language throughout the document “was a red flag” indicating city officials have not embraced the change the Council had called for. “It was shocking after all the buy-in on zero waste.” – Greg Sawtell. Instead of referencing zero waste, for example, the solid waste planning website is now dubbed “Less Waste, Better Lives,” he noted. The RFP also calls for the study of new incineration technologies such as trash gasification and converting trash into pellets to be burned. 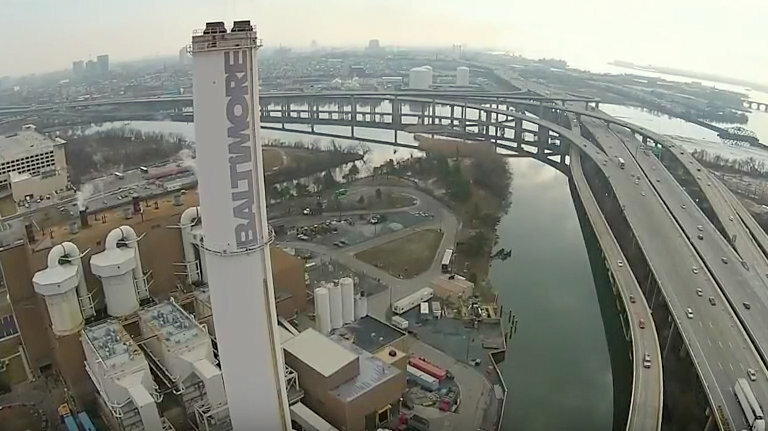 These were proposed for the controversial Energy Answers incinerator project in South Baltimore that stirred years of opposition and was ultimately dropped. Clarke yesterday introduced a Council resolution calling on the Northeast Maryland Waste Disposal Authority (NMWDA) to re-issue the RFP. She said she wants the solid waste planning process to take into account zero waste principles and to consider the harmful effects of incineration on air quality and health. “At least we can memorialize our wishes,” she said. She noted that the aging Wheelabrator facility, known as BRESCO, is the largest source of industrial emissions in a city where children suffer from asthma at twice the national rate. The RFP was issued by the NMWDA. In 2016, the city’s annual fee payment to the waste authority was more than $462,000.